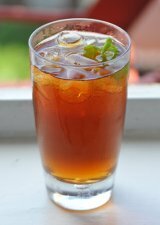 Keemun tea's complex flavor, pleasant aroma, and brilliant color makes it a black tea that has gained worldwide popularity. It is a nice well-balanced tea and is one of the most famous Chinese teas. Although the exact flavor notes are hard to describe because there are so many present, Keemun is known as a rich and unique tea with a sweet finish. It is also recognized for its bright red color. 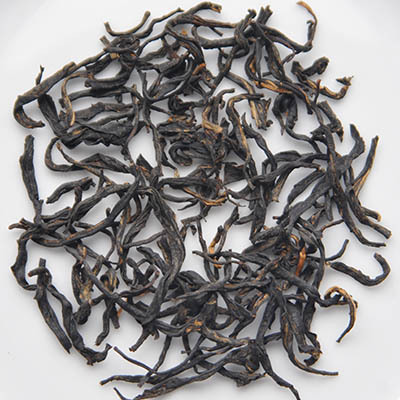 Keemun is particularly popular among the British crowd and is commonly found in English Breakfast tea blends. It is considered mellow, without the bitterness that characterizes some teas. "Keemun" has become the English spelling for "Qimen," the county in China where the tea is produced. This type of tea keeps well. It can be stored for years, although the flavors mellow over time. The story goes that a young civil servant from Qimen lost his job and, in an effort to gain a new skill, traveled to the Fujian province to learn about black tea production. He returned to Qimen and started factories for producing black tea in 1875. The region had previously produced only green tea. Keemun quickly became popular in England and later the United States. It has earned a place on the list of China's Famous Teas, a compilation of the top ten most notable Chinese teas. It is the only black tea to receive that designation. Keemun is well regarded around the world.